- Radio stations broadcast popular songs from famous hip-hop, rock and electro artists, including artists from the famous Ninja Tune label. 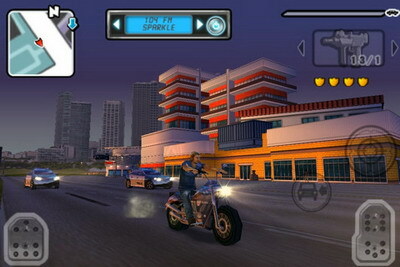 Gangstar: Miami Vindication for iPhone is available for download $9.99 on the App Store in the Games category. 0 comments on "Gangstar: Miami Vindication iPhone game optimized for iPhone 4"